If you read my post about L’Effervescence, you might recall that one of the witnesses from our wedding couldn’t make it to our thank you dinner. So, we scheduled another for her. 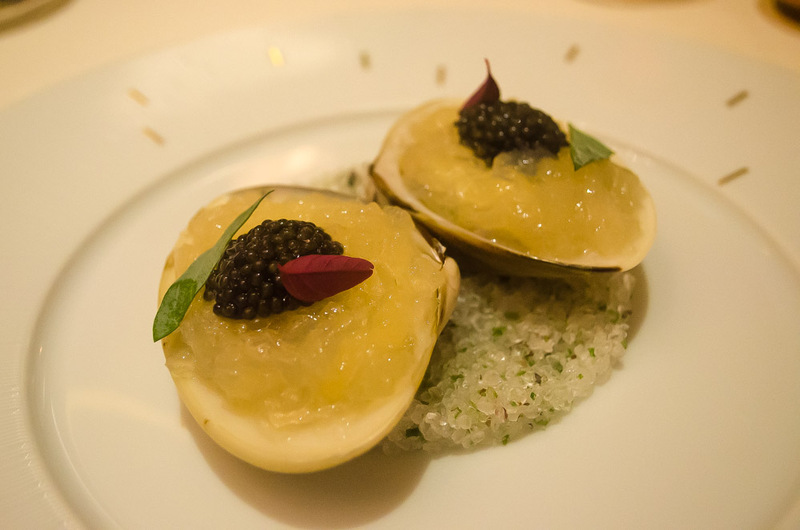 This time I booked L’Osier in Ginza, more popularly known as the Shiseido restaurant in Tokyo. 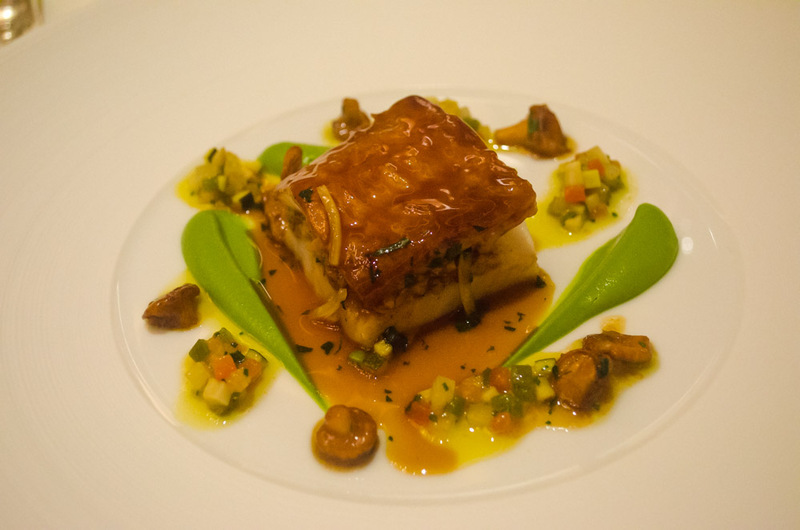 L’Osier is a two-star restaurant serving French fine dining in Tokyo’s luxurious Ginza district. The restaurant has quite a long and rich history. 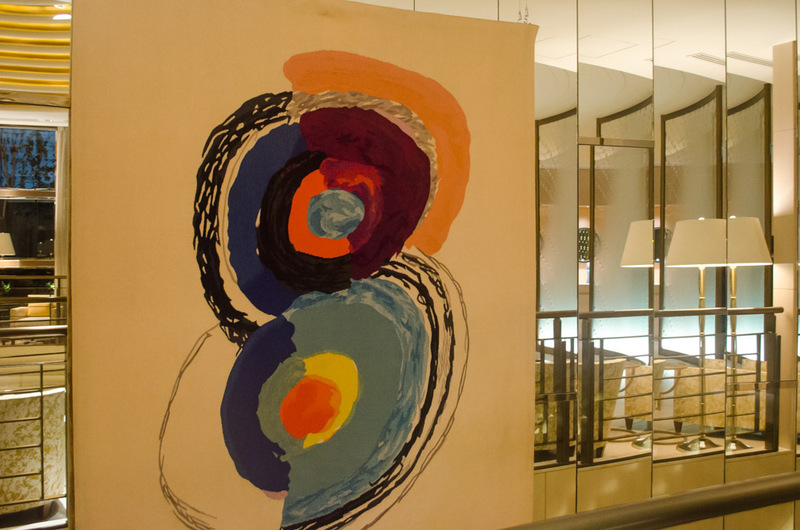 First opened in 1973, its name is French for ‘willow’, which was a symbol of Ginza. 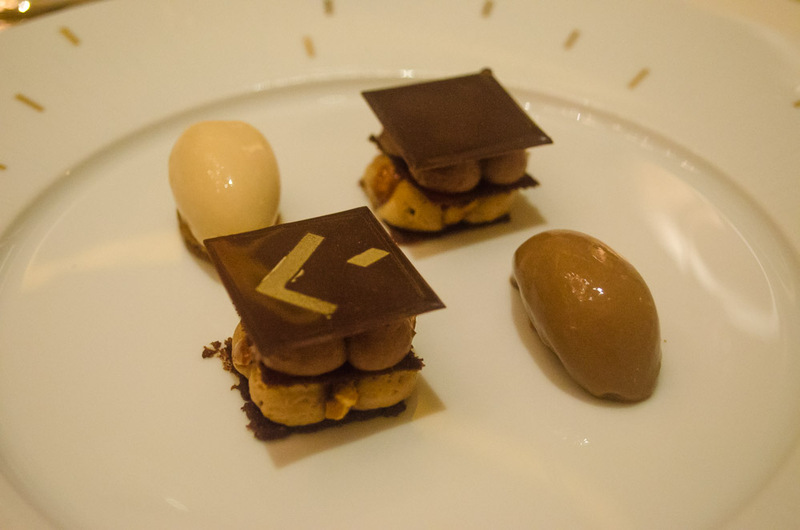 L’Osier was quickly recognized by the Michelin guide, and at some point had three stars. But in 2010, the restaurant closed for renovations. 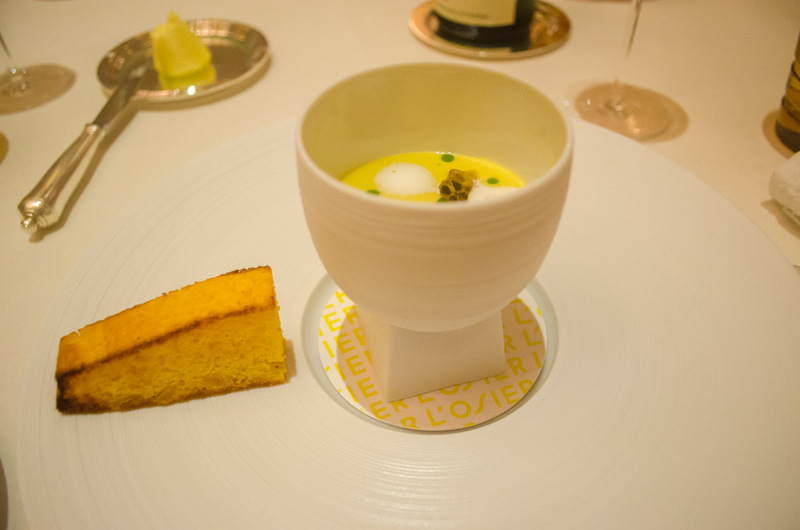 Then, in 2013, L’Osier reopened in its current location. 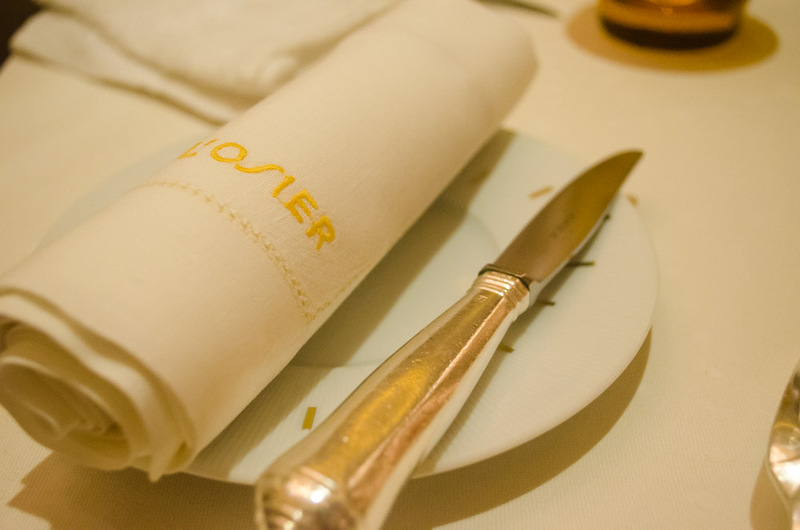 Upon arrival, L’Osier sets itself apart as a symbol of exclusivity. Heavy doors ornately decorated with bronze filigree in the shape of camellia flowers catch the eye of passersby while the doorman greets you. Taking a step inside, you are whisked away to the 1920s. 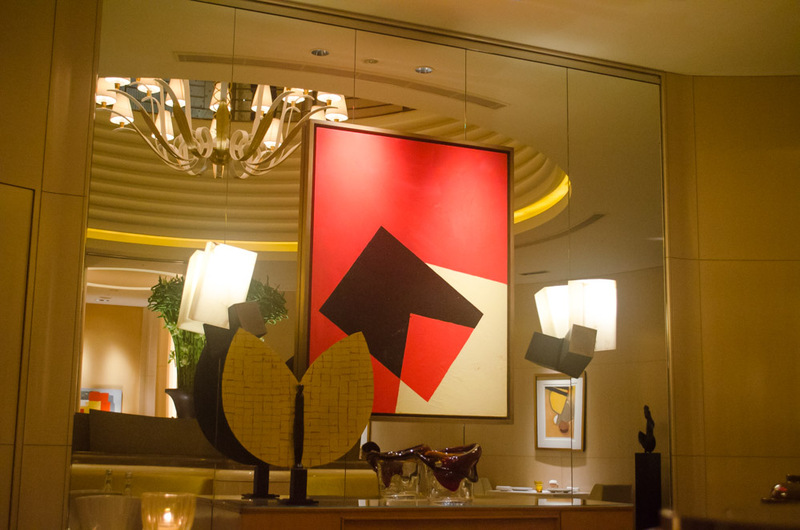 With an art-deco vibe, this French restaurant has all the sophistication you would expect from Shiseido — luxurious textiles, elegant lighting, and breathtaking art. 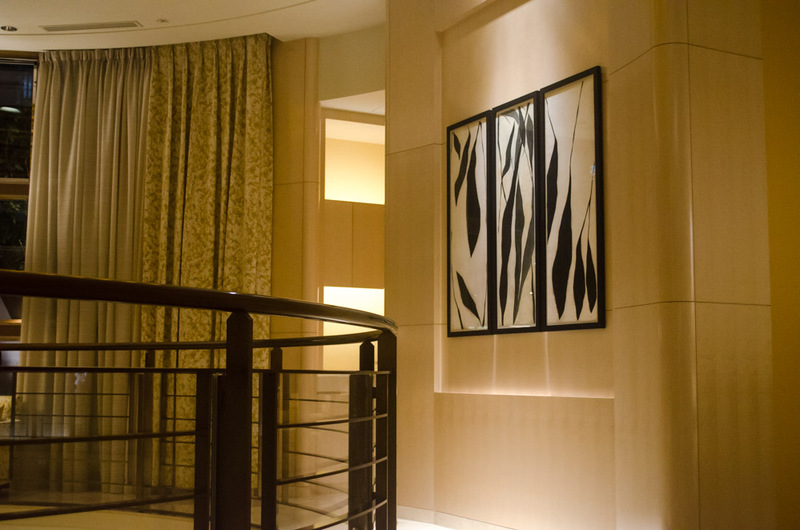 The interior design was done by renowned architect and designer Pierre-Yves Rochon. The food is equally as decadent. 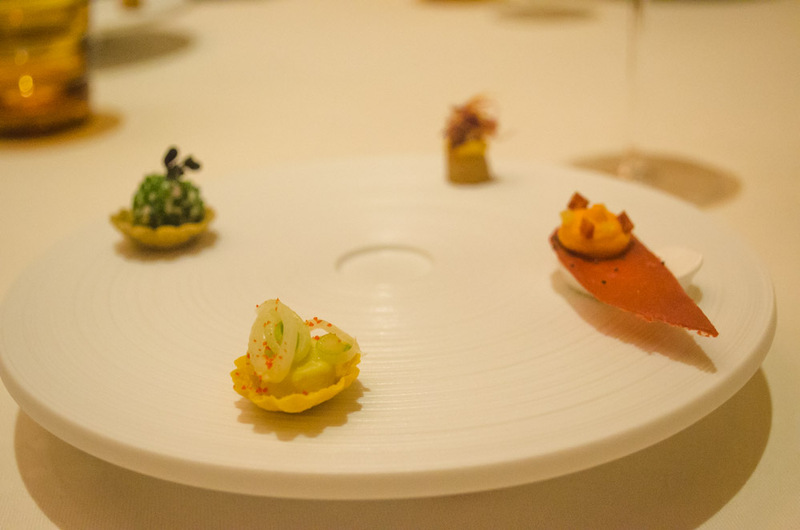 An amuse bouche of four bite-sized treats starts the meal with intense flavor. 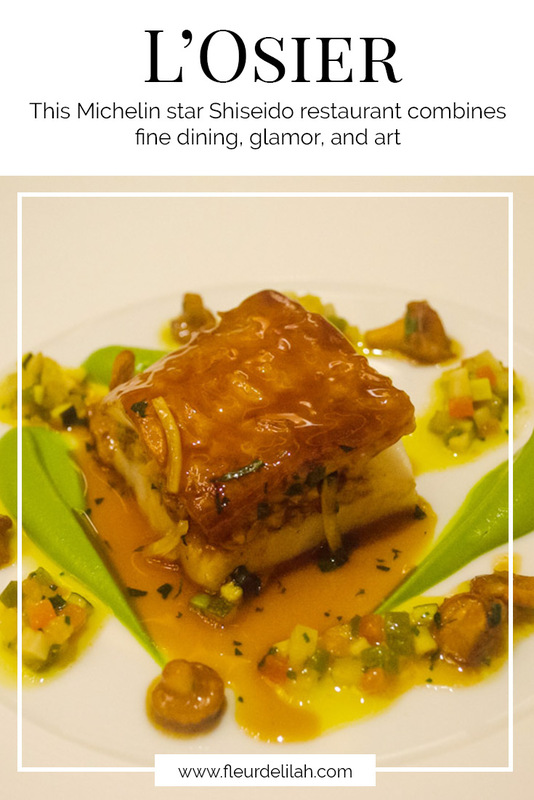 Each dish is a display of technical refinement and flavor mastery, and every one is artfully plated. 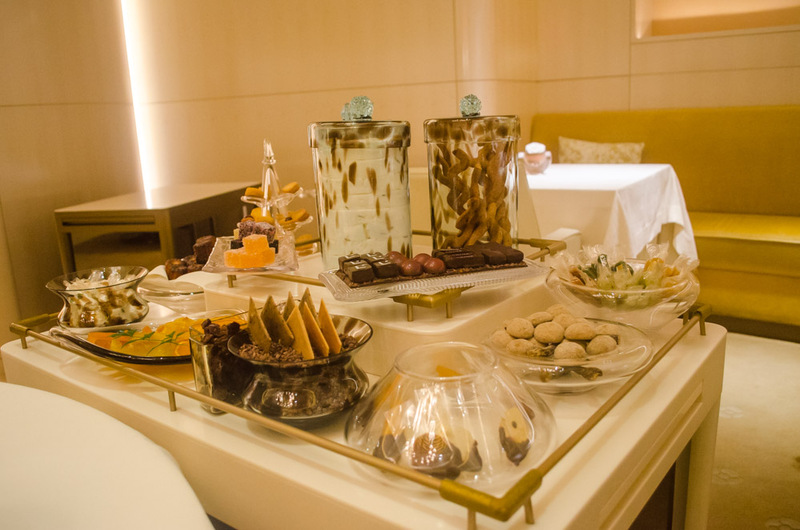 Large cheese and dessert trolleys are an extravagant end to the night. L’Osier is closed on Sundays and public holidays, as well as for summer break in mid-August and New Years holiday. Children under 13 are not permitted. The dress code is formal and jackets are required.